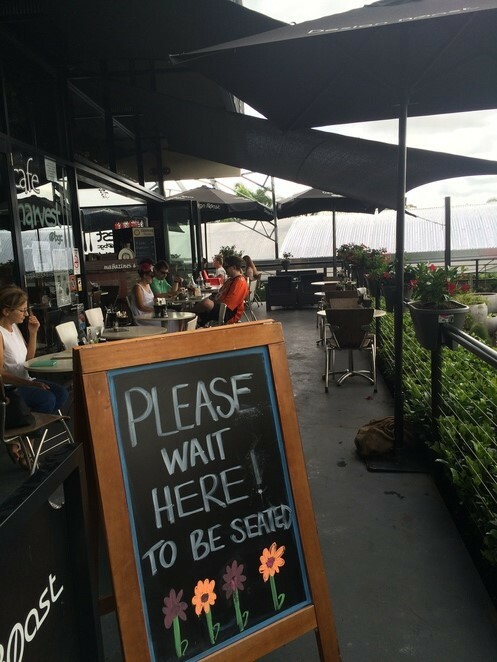 The Harvest Cafe @ BGC is my favourite and regular brunch spot, located inside the Bonnyrigg Garden Centre (BGC), one of biggest and best garden centres in South West Sydney. I love the sun drenched veranda dining area overlooking the luscious nursery garden. It boasts a romantic 19th century styled gazebo with stone columns and cast iron Victorian Dome surrounded by meticulously placed potted nursery plants of varying sizes with foliage of different shades of green and blooms. I come here for my French toast fix, I dare say it is the best in Sydney. Thick, fluffy brioche French toast stacked and soaked in maple syrup, topped with fresh ricotta cheese and mixed berry compote, sprinkled with toasted almond flakes. 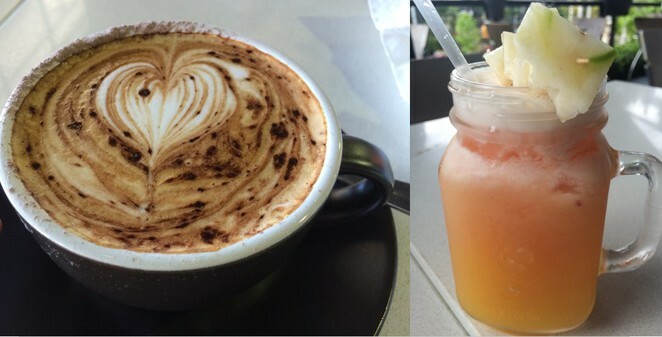 Their coffees are always good and if you want a healthier option they do really good fresh juices too. 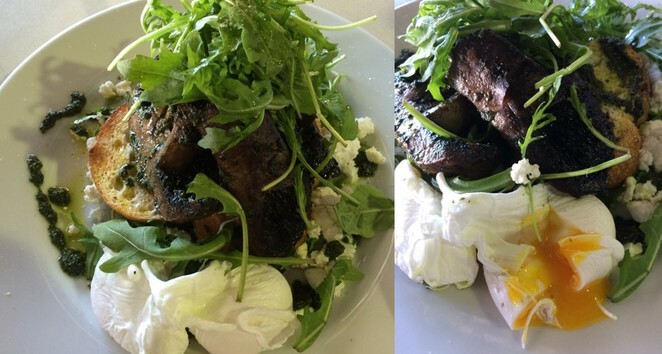 For the mushroom lovers, they have field mushroom (roasted meaty portabella mushroom) slices on sour dough toast, topped with rocket and perfectly poached eggs, fresh goat cheese and drizzled with roasted hazelnut pesto. They have healthy light meals, like poached egg with baguette. You can get a babychino with a smiley face and marshmallow for the little one. I always lose track of time once I step foot into the Lifestyle centre next door browsing through the many elegant inspirational home decor displays. This shop is one of the most beautiful lifestyle/homewares showrooms in Sydney, providing a huge range of indoor and outdoor furniture, dining table accessories, photo frames, scented candles and diffusers, skincare, silk flowers, ornaments and many more accessories. If I could, I would buy the whole shop, everything is just so aesthetically pleasing to the eye. Then you have the nursery to browse through: aisles and aisles of indoor plants, water features and pond gardens, herbs and seedlings, fruit trees and tropical ferns, mulches and manures, landscaping supplies and accessories. Make a brunch trip to BGC with the family, enjoy good food with great ambiance and go home with some gardening supplies. Wow, what a huge French Toast! Looks like an interesting place to go, I'll have to visit.